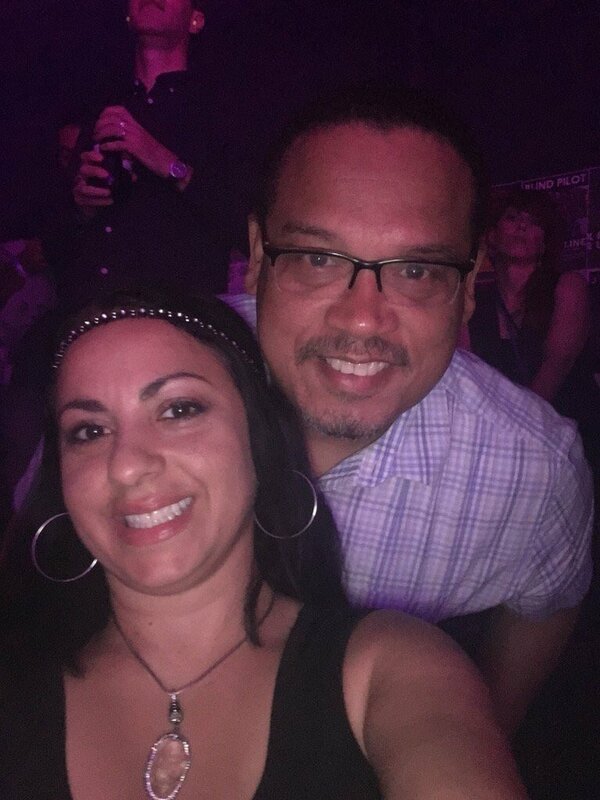 Minnesota Democrat Representative and Minnesota Attorney General Candidate Keith Ellison accused of domestic assault. In a Facebook post that has gone viral, the son of a Karen Monahan (an alleged ex-girlfriend) accuses Keith Ellison of domestic abuse. “My name is Austin Monahan and I am writing this letter on behalf of me and my brother. That is my son who bravely shared that post. He isn’t lying about anything. This has nothing to do with trump or politics to us. It is about abuse and the person just so happened to be a politicians. 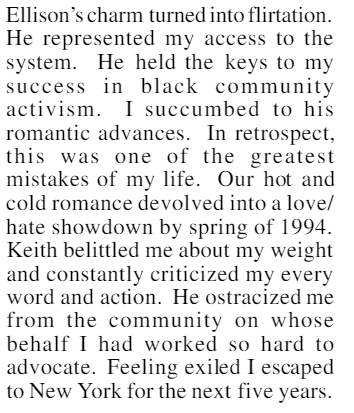 Snippets from “Coming Out of the Dark” by Amy L. Alexander, published Oct. 11, 2006 by The Wright County Republican newsletter. At the time of publication no “mainstream media” outlets had followed up on the allegations. Dozens of tweets asking why the media is ignoring these serious domestic abuse allegations have been posted, but yet only crickets are coming from the MSM. 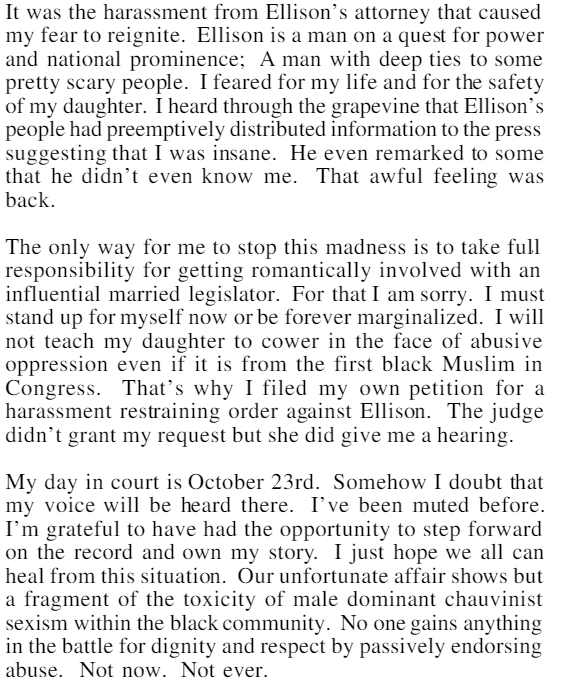 Ellison has made no response to the latest abuse claims. 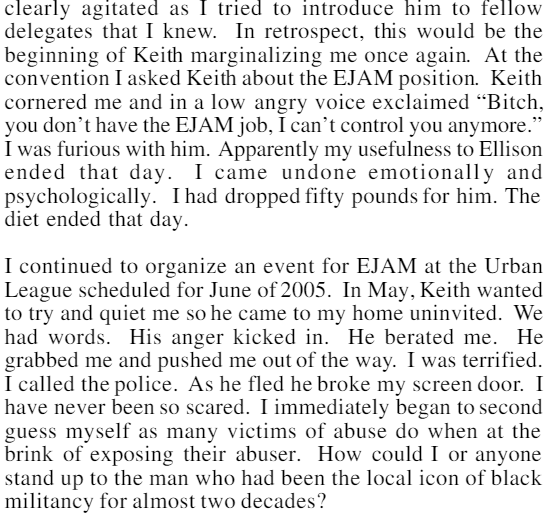 Will Ellison stand up and live by the high standards he sets for others – particularly President Donald Trump – by coming forward to address the claims made by the Monahans? Or will he run from the “transparency and sunshine” he advocated for in the DemocracyNow! interview? Does he truly believe in his own hope for “a society where every person, women, can go to work and just do their job without any fear of being harassed, mistreated, treated like second-class-citizenship individuals”? Does that hope only extend to the workplace? Or does it include Ellison’s own private relationships?